In quilting, like everything else, we find that what's old is new again: new blocks formed from old designs, new fabrics from old wallpaper designs, new quilting designs from old motifs. We are making the most of the old and the new! As usual, we'll have lots of quilts, vendors, and our raffle quilt, plus our Quilt Bazaar. Tickets are $11, plus a nominal convenience charge. Ticket holders will be able to get on the Express entrance line. No standing in line outside, you'll be able to come in as soon as the doors open. Information about the show can also be found in our monthly newsletter and at our meetings. Should you have any questions, please email the Quilt Show Team directly at eqgshow@gmail.com. CLICK HERE for INTAKE INFORMATION. 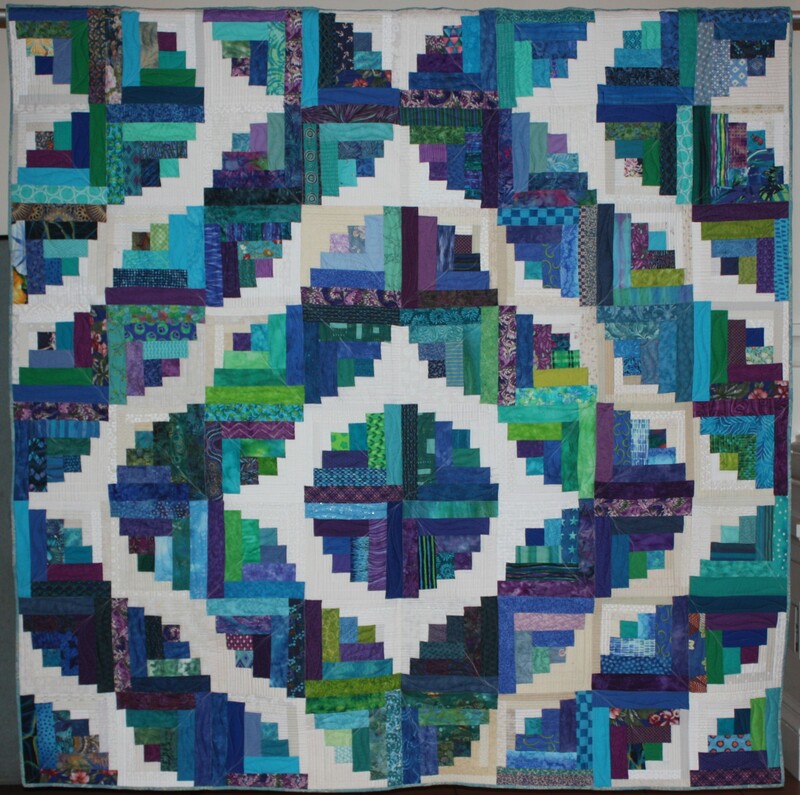 Ticket sales for Sea Glass, our 2019 Raffle Quilt; please see Kriztina Schoeb Johnson for tickets, or if you can sell tickets at another guild's meeting. Please bring quilted blocks and handmade items for the Quilt Bazaar. They can be submitted to Lisa Mason or Louise Naples. Please see Mindy Wexler Marks to volunteer. Our 2019 Raffle Quilt is complete. Many thanks to Kriztina for the design, the volunteers who made the blocks and helped to put them together and a special thanks to Ivete of Gotham Quilts who quilted it to perfection. Raffle tickets are now available, you can buy them at any of the next few guild meetings. This is a big quilt 85" x 87"!